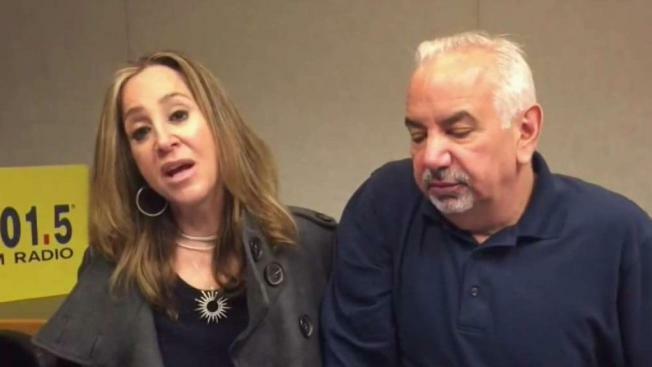 New Jersey radio hosts Dennis Malloy and Judi Franco have been suspended over the "turban man" comments they made about the Sikh state attorney general on air. Brian Thompson reports. 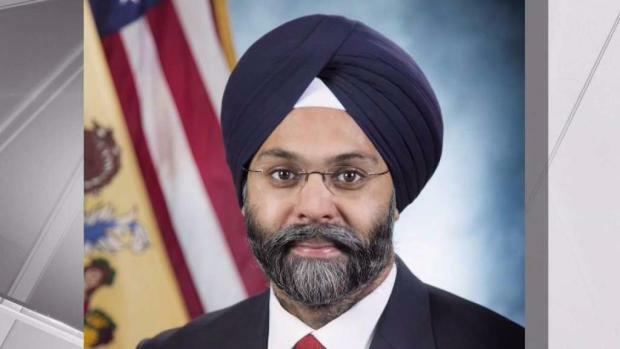 A pair of New Jersey radio hosts have been suspended after they repeatedly referred to state Attorney General Gurbir Grewal, a practicing Sikh, as "turban man" on air Wednesday. Dennis Malloy and Judi Franco, hosts of the "Dennis and Judi Show" on NJ 101.5FM, were talking about Grewal's decision to suspend marjiuana prosecutions when they began calling him "turban man." Grewal, who was born and raised in New Jersey, is the son of Indian immigrants and practices Sikh, the turban headdress common in the religion. "You know the new attorney general? I'm never going to know his name, I'm just gonna say the guy with the turban," said Malloy. "Turban man!" Franco chimed in in a sing-song voice. "If it offends you, then don't wear the turban, man, and I'll remember your name," Malloy laughed. "But Turban Man -- is that highly offensive?" "Uh, no. I would say no," Franco responded. "So, anyway. The attorney general -- Turban Man -- says he's not going to prosecute pot things until September," continued Malloy. The clip quickly gained attention on Twitter, prompting the ACLU of New Jersey to tweet a link to an audio pronunciation of Grewal's name, then adding: "'Turban man? Is that offensive?' Yep. 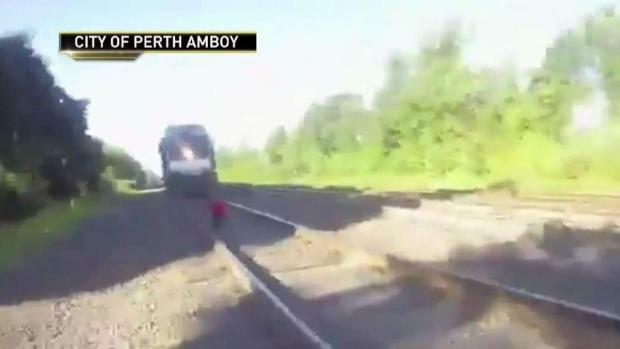 (If you have to ask...)"
The hero police officer who saved a man from an oncoming train in New Jersey speaks with Brian Thompson about what was going through his mind. "Racism isn't cute," tweeted ACLU of New Jersey. "It's just racist." Politico's New Jersey bureau chief, Ryan Huchins, who first tweeted the clip of the radio recording, wrote in response to Malloy's "Baseball Hat Man" analogy: "A rather ridiculous argument considering there are about 100,000 Sikh in New Jersey, so tons of people wear turbans." On Thursday, amid growing backlash, radio station president Rob deCastro announced that Malloy and Franco have been suspended for 10 days and will not return to air until Aug. 6. The hosts also issued a statement apologizing for their remarks. "For 21 years, the Dennis and Judi show has been unscripted and free form. We use humor and sarcasm to make a point and add color to the broadcast; in this instance, we were off the mark," the statement said. "It was a mistake we both deeply regret. We respect all cultures and beliefs and are deeply sorry for the pain caused to the Sikh community, our co-workers and our beloved listeners." The attorney general's office has not responded to messages from News 4 requesting comment, but Grewal took to Twitter Thursday morning to call for an end to "small-minded intolerance." Gov. Phil Murphy, a Democrat who nominated Grewal to his post earlier this year, issued a statement Wednesday night saying he was outraged by the "abhorrent and xenophobic comments made earlier today mocking Attorney General Gurbir Grewal on 'The Dennis & Judi Show' on New Jersey 101.5." He told News 4 on Thursday that the comments "made me sick," and blamed President Trump in part for normalizing bad behavior. "He's a giving a hall pass to be pulled through his own behavior, to let them think they can get away with this stuff, and unfortunately too many now are doing that," Murphy said. Hoboken Mayor Ravi Bhalla, also a Sikh who wears a turban, said both he and Grewal were born and raised in New Jersey: "We are as American as American can be." He added that he'd spoken with Grewal Thursday morning and that those sorts of comments weren't new to them. "These things happen all the time, but we also live in a country we can ask where we can express our outrage when these types of things happen and try to make sure happen there are consequences for that behavior," he said. Bhalla said, "To really mark somebody because of their expression of faith, or to make fun of people because of their expression of faith is very un-American and frankly, it's quite bigoted." "The Sikh turban actually represents really everything that America is about. It represents freedom it represents equality, it represents love for all humanity." The mayor said he recognized the radio hosts' remarks were "a poor attempt at humor borne out of a very ignorant mentality." New Jersey listeners familiar with the radio station also chimed in on Twitter, expressing their disgust at the radio hosts. "Dennis has done this for a long time. Feeding into stereotypes, accents," wrote one person. "Thinks he's funny but just ignorant and unimaginative. Judi too. Should've been shelved a long time go." "More racist s--- from @nj1015. How about you learn a person's name if you're gonna cackle about them... what a disgrace. He should be suspended," said another. "Dennis and Judi should have their show shut down and be called out for their racist remarks. The snickering says it all. Disgusting," tweeted Jim Young. "It only feeds into the increasing racism in America. The people who want to hear this garbage are empowered by it. Thinking people reject it." Before becoming state attorney general, Grewal served as Bergen County prosecutor, the chief law enforcement officer of the most populous county in New Jersey, with nearly 1 million residents. Prior to that, he was a federal prosecutor in New Jersey and has also worked in private practice, according to a biography on the state attorney general's website. Grewal has said in the past that he's been called a "towel head" and a terrorist, and told to "go back home" - Grewal was born and raised in New Jersey - more times than he can count. He said he's felt eyes on him everywhere he goes.